Today’s employees expect the same digital experience in their workplace as they get every day in their personal lives. Technologies like social and mobile are table stakes when you are battling to hire and retain the best and brightest. 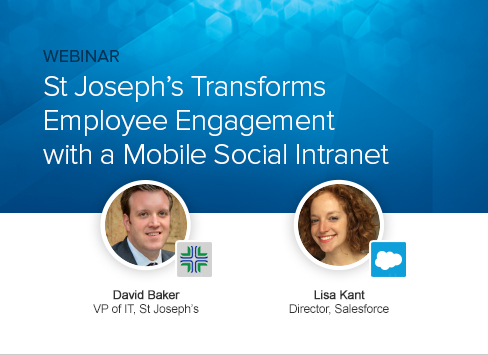 You’ll also see a live demonstration of the Salesforce social intranet solution.